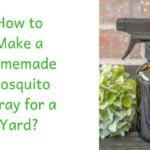 How to Make a Homemade Mosquito Spray for a Yard? 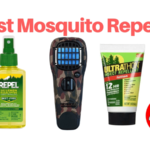 In the summer we always have a high consumption of mosquito repellent. 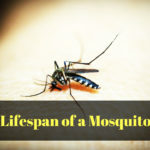 Especially the summer months which is the worst mosquito time – especially in the evening, when you sit comfortably on the terrace, it starts to hum. Having to chase out these little monsters out of your yard can be uncomfortable and not economical too. Instead of buying expensive anti-mosquito sprays, you can make them yourself very quickly. Three ingredients (water, alcohol and essential oils) and it is ready in about 1 minute preparation time. That’s it. Try it. I only use this spray. if you only want to make a small amount to check, then you do not have to use the mixer. Just put it in the bottle and mix everything. as I always produce a more substantial amount and distribute it to several friends, I combine it all at once. This recipe contains essential oils, and these are not suitable for babies and toddlers. If children under six have never been in contact with essential oils, then please prepare and use with care. This also applies to asthmatics. please take care to fill the spray in glass bottles if possible. This spray has been tested in Europe and also in the Caribbean, and it worked very effectively, however, don’t use in direct sunlight. This method of simple preparation of mosquito spray for yard takes a maximum of 2 minutes to be accomplished, although that depends on the quantity needed. Add alcohol and essential oils to the mix pot and mix for 5 seconds. Leave for a few minutes to mix the two components. Then add the water and mix again for 5 seconds (clean the mixing pot quickly). Place the mosquito spray in a pump bottle (if possible made of glass). Plastic bottles are also likely, but the essential oils attack the plastic and possibly release toxins. Shake well again before use. Do not spray the liquid in the eyes or mouth. This recipe contains essential oils, and these are not suitable for babies and toddlers. If children under six have never been in contact with essential oils, then please enjoy with care. This also applies to asthmatics. I guess so. Having a homemade mosquito spray for the yard is something valuable to know and understand how it works. 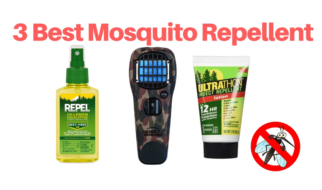 This will save you the stress of having to buy expensive mosquito eradicating products just like we mentioned above. 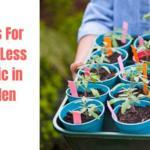 With this simple but effective method, you can be sure of having an effective homemade solution to battle mosquitoes in your yard. Do you have any personal methods or ingredients which you might want to share with the community, you can use the comment box, we might learn from you too. I am a gardening enthusiast. I have been doing gardening at my home's backyard for 5 years. Through these years, I have learned a lot of things about gardening, care of patio and many other things about home's outdoor. So, I am here to help you to be a pro gardener by sharing my experiences and knowledge with you. Patio Clinic Copyright © 2019.